This bundle is for the crafters who can sew & would love to make doll clothes but don't want to tackle doll making. 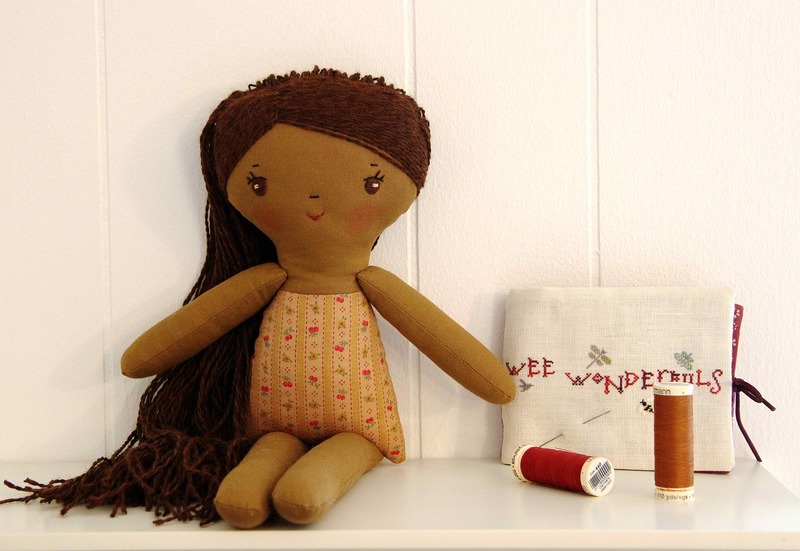 This nekkid (゜o゜) Make-Along doll is waiting for you to dress her and she comes with the entire set of Make-Along clothes sewing patterns. 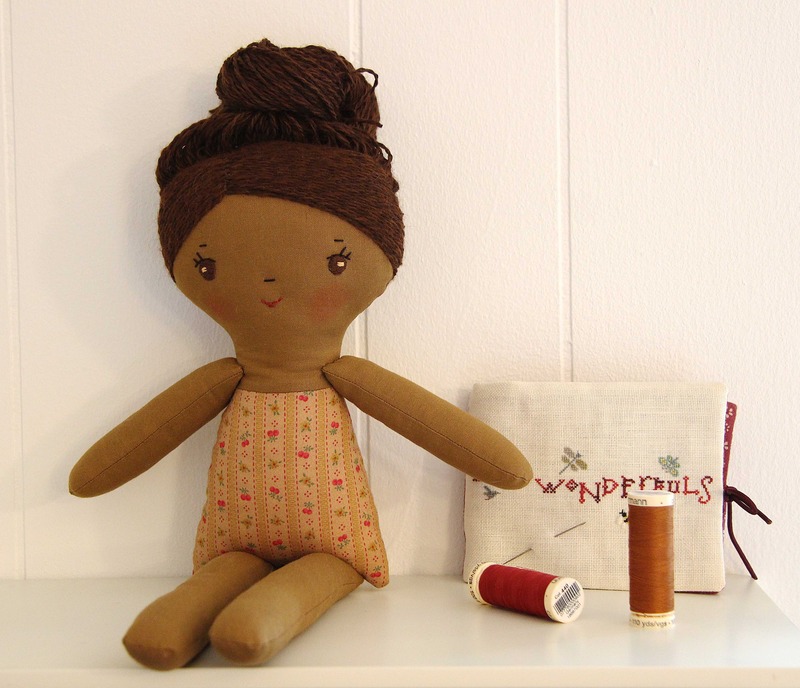 Simone's long brown hair is made from a super soft alpaca blend yarn and is sewn down with side part, fully covered back head and long loose hair that is ready for your favorite style - braids, bun, ponytail. 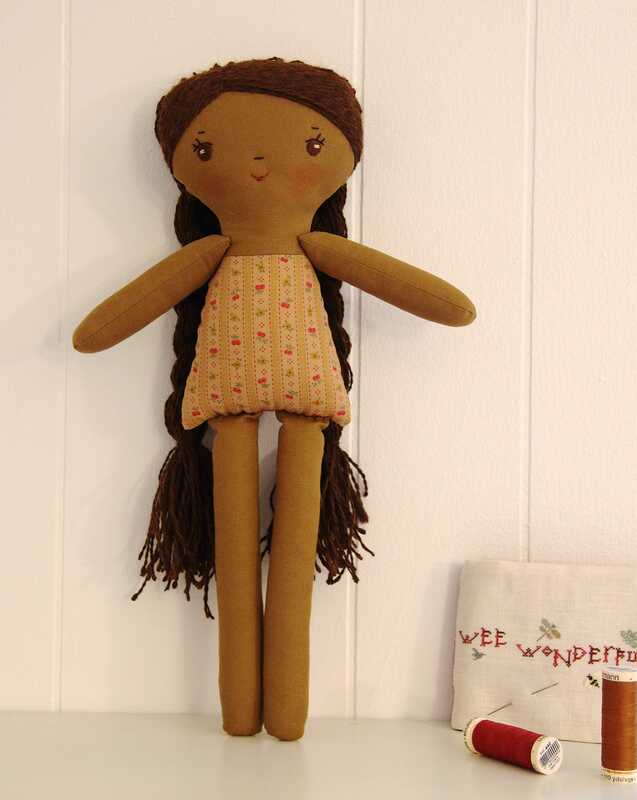 Her body is made from brown linen and her facial features are embroidered. She is 16" tall, and firmly stuffed for easy dress up. The full set of PDF Make-Along Clothes sewing patterns will be emailed to you upon purchase. Shipping for the doll is an estimate based on US shipping and may be adjusted based on your actual shipping address. These toys & dolls are not intended for children under 3. There are handsewn parts that could come unattached and become hazardous. Spot clean as needed.